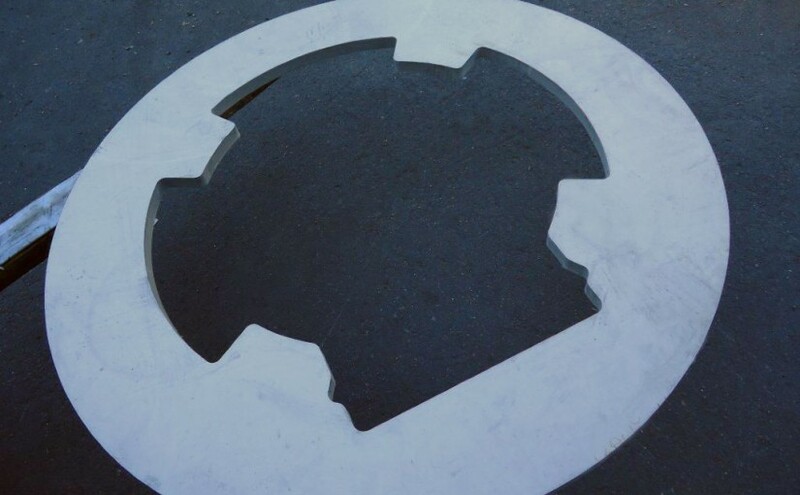 This is an example of a special cut shape of 304L, 1 1/2″ (38.1 mm) thick, that we shipped to a manufacturer of bottling equipment for a brewery. Many of our customers benefit from our in-house value-added processes, which you can learn about here. For more examples, see our photo gallery here.